At the Bunte Beauty Days, consumers met professionals and experts from the beauty industry and were able to learn everything about innovations and new treatment methods. Receiving a make-up by Boris Entrup and trying the latest cosmetics trends? 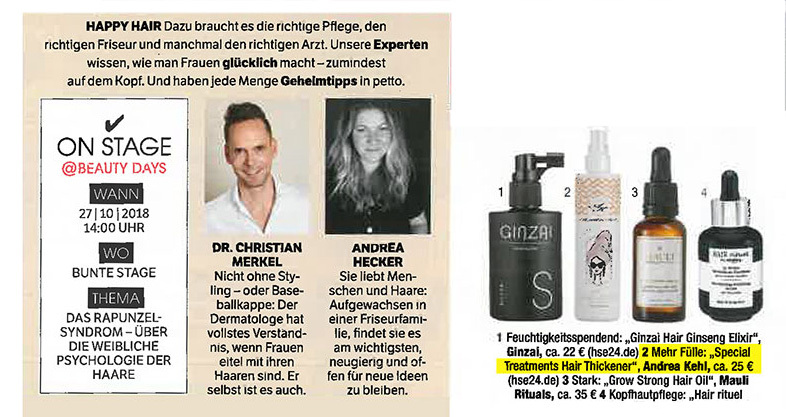 At the first Bunte Beauty Days on October 28th and 29th, 2018 at the "Messe München International", Germany's largest people magazine made exactly this possible. In addition to treatments, styling and shopping, the unique concept of the Bunte Beauty Days included entertainment on the Bunte stage where experts and celebrities talked. The stage program on the two days of the fair were hosted by TV presenter Jennifer Knäble. 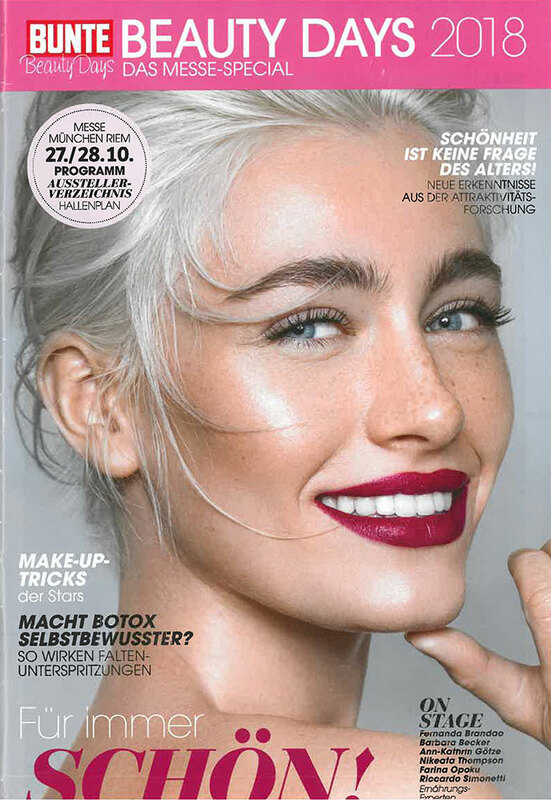 The program included, for example, workshops with star make-up artists such as Boris Entrup and Horst Kirchberger, interviews with star hairdresser Udo Walz, and beauty talks with celebrities and experts, including Cathy Hummels, Mareile Höppner, Nina Ruge, Dr. Barbara Sturm and Judith Williams. The beauty experts of the German magazines Bunte, Freundin, Elle, Instyle and Harper's Bazaar revealed their own personal beauty tips. Well-known major brands as well as exciting newcomer brands from the beauty, medical beauty and wellbeing industry had the opportunity to present themselves and their products to beauty-loving consumers and to benefit from the cross-media reach of the Bunte brand and thus reach more than ten million people: four million Bunte readers, nearly seven million Bunte.de users and more than one million Facebook fans of the brand.